Seminar on -We can Alliance: Experience Sharing on Formation on Global Alliance to End Violence against Women. Seminar on -Inception Ceremony of the Documentary Movie -Lives behind Garbage". Seminar on -Livelihoods on the Margin: An Applied Sociology Perspective". 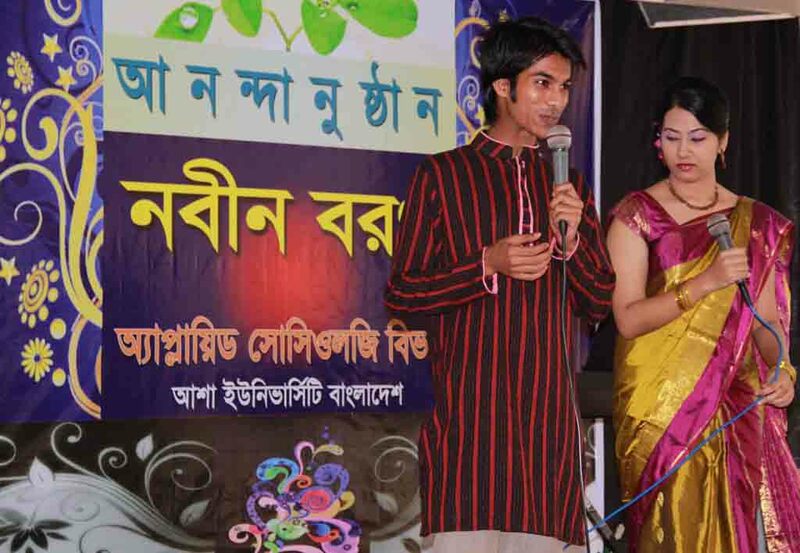 The freshers reception and orientation programme of Applied Sociology department of ASA University Bangladesh (ASAUB) was held on September 29, 2012 followed by a colorful cultural programme. Prof. Md. Muinuddin Khan, Vice Chancellor; Prof. Dr. Abu Daud Hasan, Dean, Faculty of Arts and Social Sciences; Prof. Dr. ASM Amanullah, Advisor and Prof. Dr. Helal Mohiuddin, Chair of the department delivered their speech. Their discussions were centered on orienting the freshers with adaptive mechanisms in society. Freshers representatives expressed their pride in being members of one of the largest and prestigious academic platforms in Bangladesh. Newly admitted students, Deans, faculty members, officers and ASAUB employees of different rank and files were present in the program. 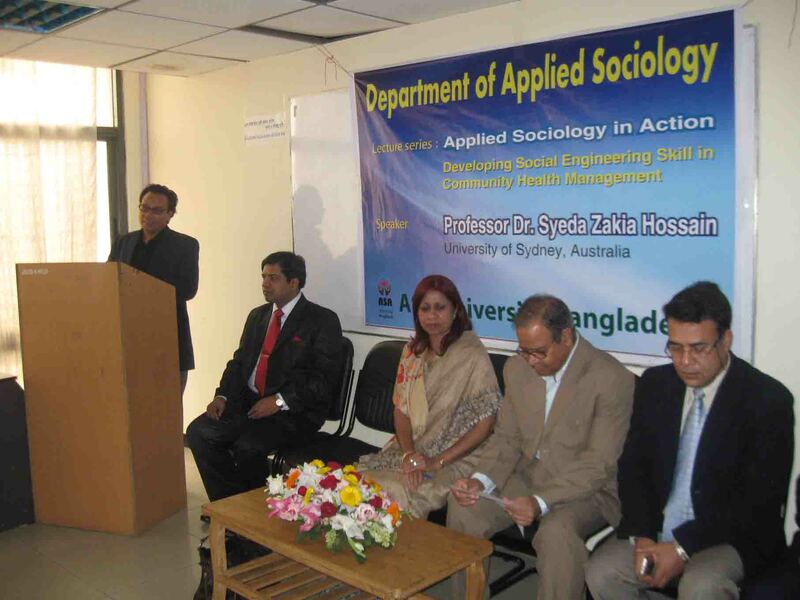 The orientation programs for the students of BSS Hons in Applied Sociology Spring and Summer Semesters 2012 were held at the department on above dates. Prof. Dr. ASM Amanullah, Advisor to the applied sociology department, and Prof. Dr. Helal Mohiuddin, Chair of the department delivered their speech. Their discussions were centered on orienting the fresher's with adaptive mechanisms in society. Students were venerated in those sessions as seeds of creativity and innovation per se. It was asserted that students were to ignite newer thoughts and to act for themselves, and be free. Fresher's representatives expressed their pride in being members of one of the largest and prestigious academic platforms in Bangladesh. Newly admitted students, Deans, faculty members, officers and ASAUB employees of different rank and files were present in the programs. The department has observed the World Environment Day through an intellectually sound information dissemination and public commentary collection approach. Teachers and students of the department formed a colorful human chain to pass forward a pledge the RIO+20 panelists for adopting 'Green Consumerism' as global obligation for future. Besides displaying a large number of information festoons justifying reasons why 'green consumerism' is an accomplishable nation against the vague notion of 'green economy'. The activist-students also answered a large number of public inquiry made by passer-y and enthusiasts. They also collected sizable public commentaries on white boards. The pledge and the public commentaries will be made accessible to the RIO+20 panelists before 20 June 2012. Ms. Tamanna Rahman & Syed Kamrul Hasan of Bangladesh NGO Network for Radio and Communication (BNNRC) offered a visual ride to applied sociology and the ASAUB family toward growing need of nationwide development communication through community radio movement. The presenters spotlighted on utilization of modern and easy-to-reach everyday technology, and sophisticated means of other media communication for comprehensive development of hard-to-reach people's livelihood and well being. The Nordic diplomatic mission comprised of Denmark, Norway and Sweden celebrated 40 years of their recognition of Bangladesh's independence on February 4, 2012. With sound discussion, Zayed Ahmad Siddiki & Md. 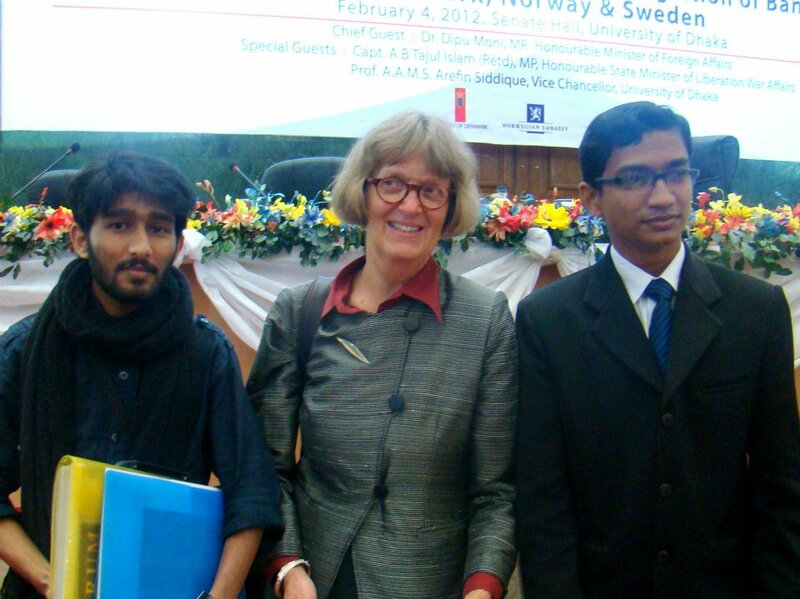 Abu Jafar Shohagh� two Applied Sociology students, drew most audience attention alongside the praise of the Ambassadors of three countries and high profile human rights experts including Dr. Mizanur Rahman, the Chairman of the Bangladesh Human Rights Commission. 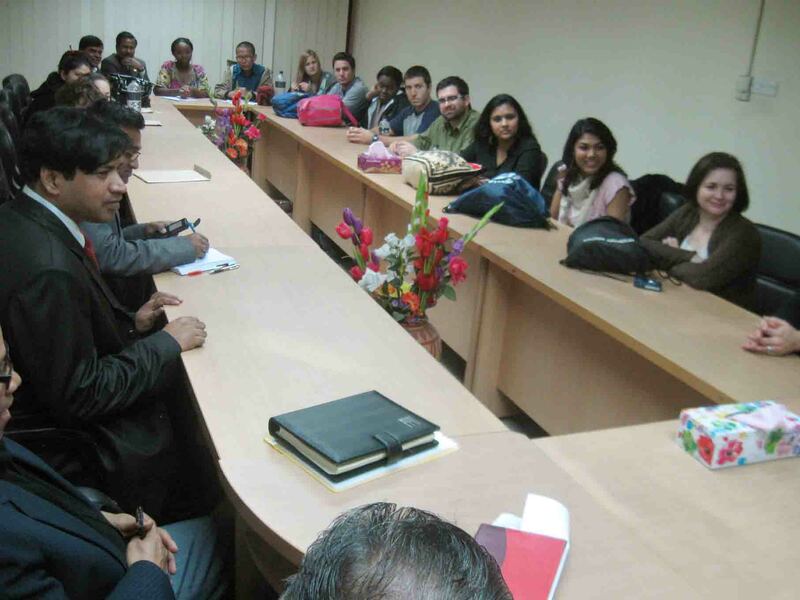 Applied Sociology faculty members participated a meeting with eighteen (18) university students and four (4) professors of Southern Illinois University Carbondale (SIUC) and Case Western Reserve University of the United States at ASAUB conference room. 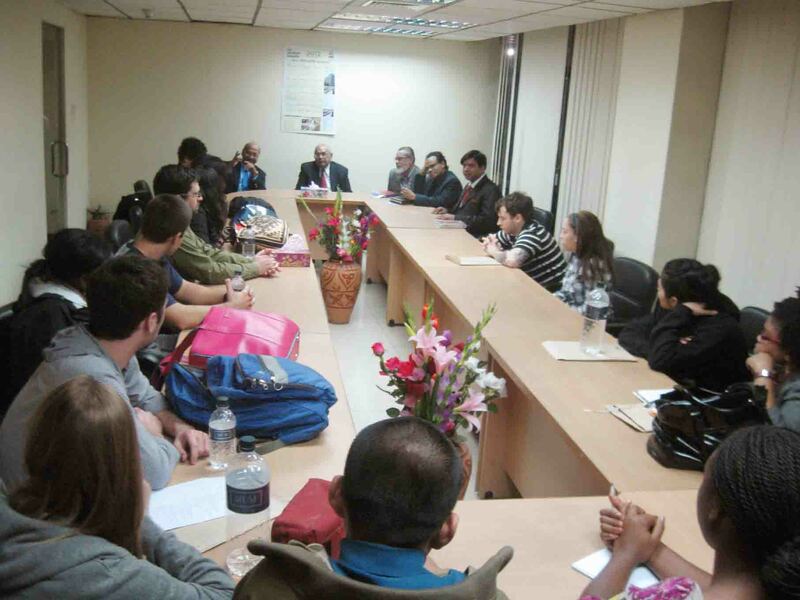 Applied Sociology faculty members discussed with the visiting students about prospect of study, research and student exchange as well as mutual cooperation for academic excellence. 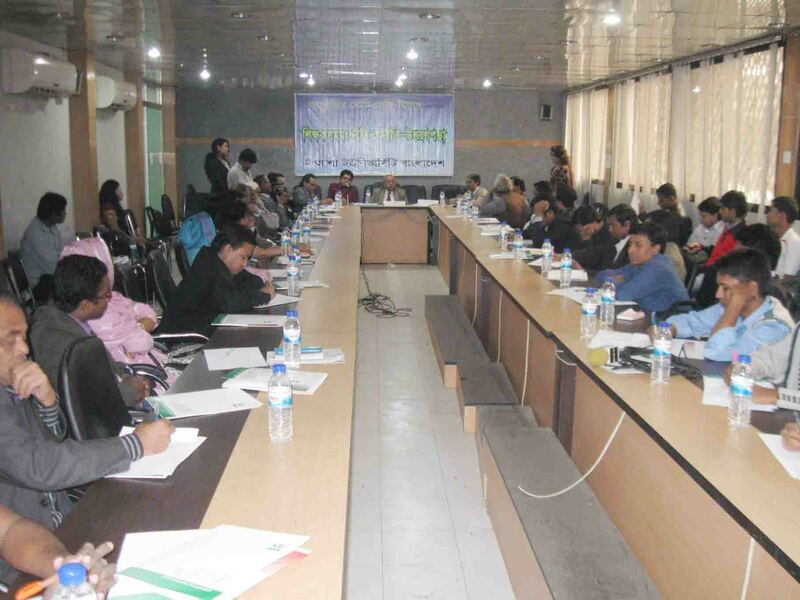 This unique national level dialogue premised around a national concern regarding escalating immoral and unethical events and incidents in Bangladesh education system. A number of civil society personalities, especially esteemed university professors, propelled the dialogue to dig-out reasons behind degradation of institutional academic morality. The think tanks came out with prescription that educational institution's sanctity can be maintained only through depoliticization of the education governance mechanisms. As most governing committees of schools and colleges comprise bunch of political powerbrokers, education becomes a breeding ground for corruption and immorality. The discussants also focused on the need of improved and increased teacher training facilities and inclusion of various ethics courses in institutional capacity building curricula. 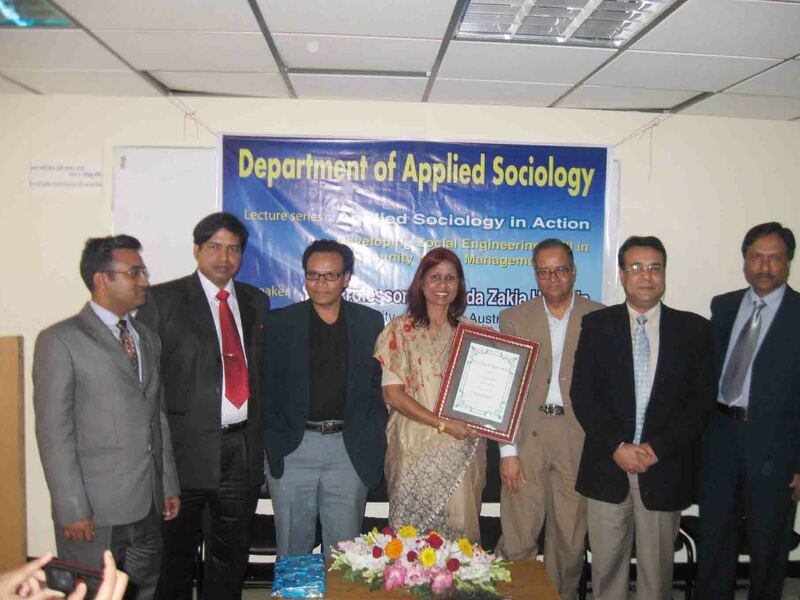 Professor Dr. Syeda Zakia Hossain of Sydney University presented Bangladesh's country research findings on breast-cancer and its social implications. Breast cancer, to her finding, deserves considerable attention and awareness up to the grassroots level. She asserts that a social and national-level integrated public health policy is essential towards appropriate preparedness and prevention measures against fast escalating breast-cancer threats. Mr. Iqbal Alam Khan, an Independent Researcher from Canada, presented a critical perspective titled 'being together with stangers: a case of child maids in Dhaka city.� He expressed the core idea revealing that in Bangladesh, like many countries in the world, child maids � the invisible workers � stay alone in individual households. Hidden from public scrutiny, their lives remain controlled by their employers. Trapped between four walls on multiparty distrust, thousands of children are to toil night and day as domestic maids in the homes of wealthier families. In order to adapt to the hostile urban economy, these young children � aged between 10 to 13 � accept ever-oppressed livelihood of domestic maids. The project was financed by the BFTW, Germany. 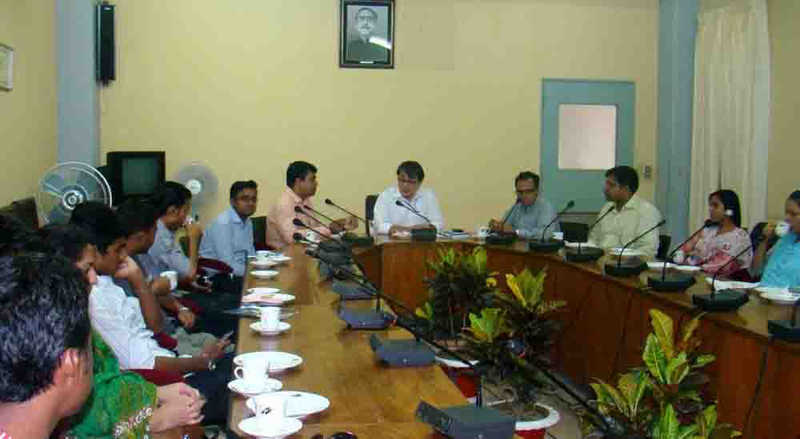 A field visit of Applied Sociology students at Bangladesh National Radio raised considerable enthusiasm among the students. 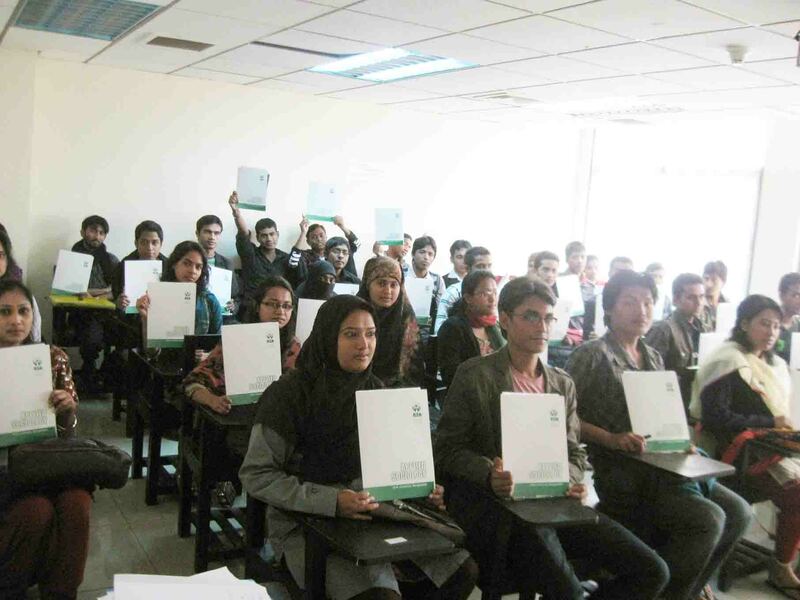 It helped them relate theoretical knowledge with practice. 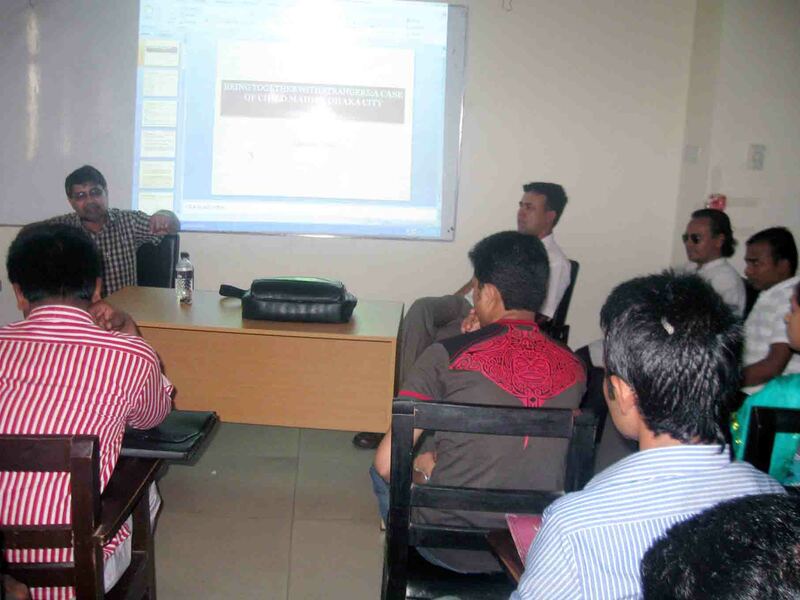 The students engaged in conversation with BNR officials about program and function of the BNR. 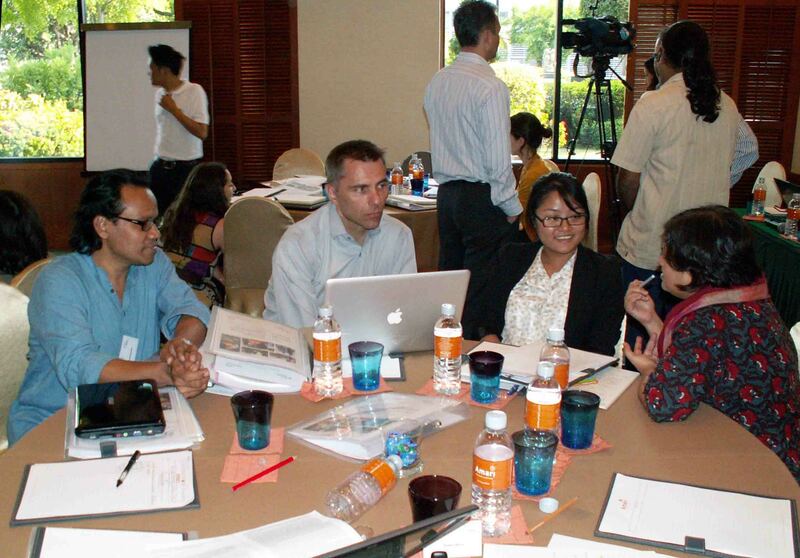 Professor Dr. Helal Mohiuddin attended a United Nations� four-wing (UNDP, UNEP, UN women and UNV) research consortium workshop on Application of Life History Methods in Masculinity and Gender-based Violence (GBV) research. 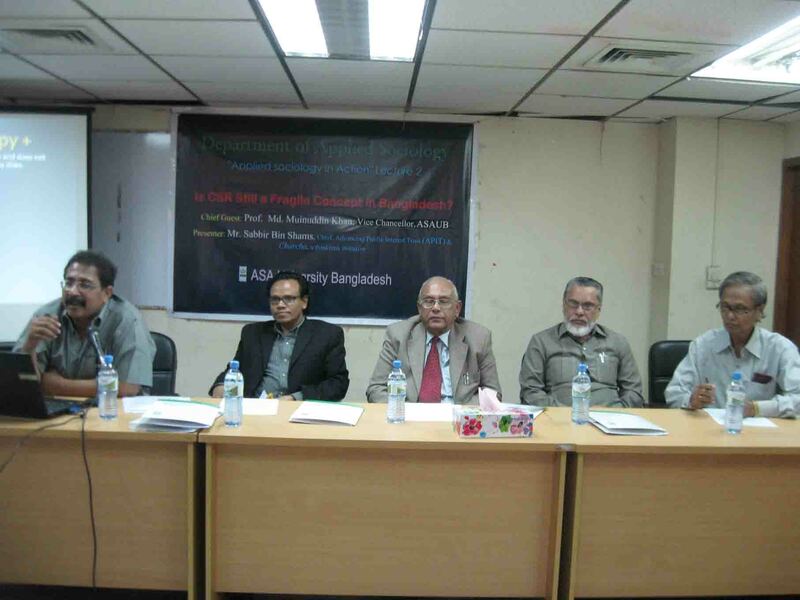 There Dr. Mohiuddin presented ethical and contextual complexities of research in Bangladesh. He critically examined the socio-cultural realities for programming and policy considerations toward GBV prevention in Bangladesh context. 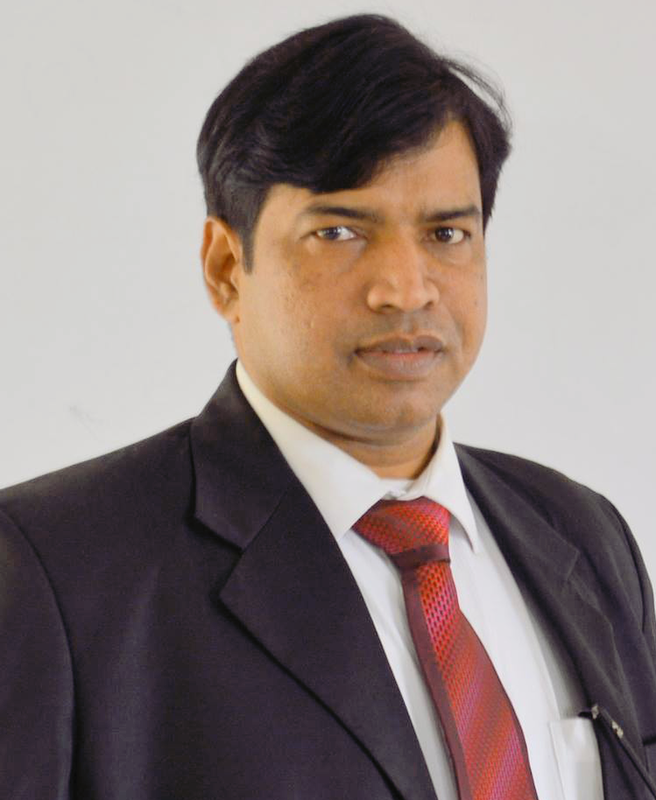 The consortium endorsed Professor Mohiuddin as the lead researcher in Bangladesh segment of the study on masculinity and GBV. The research will be supervised by the Principal Investigator Dr. Philippe Doneys of the Gender and Development Program of the Asian Institute of Technology, Bangkok. Mr. Sabbir Bin Shams presented a critical perspective of CSR framework and merits and demerits of ongoing CSR practices globally and locally. 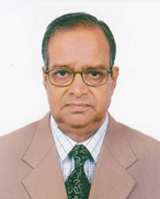 He depicts CSR as �Charity Plus� (Charity+). Drawing upon international and national policy dynamics and their gradual refinement, Mr. Shams highlighted the stewardship role of applied sociology practitioners towards effective CSR adaptation support to corporate houses. 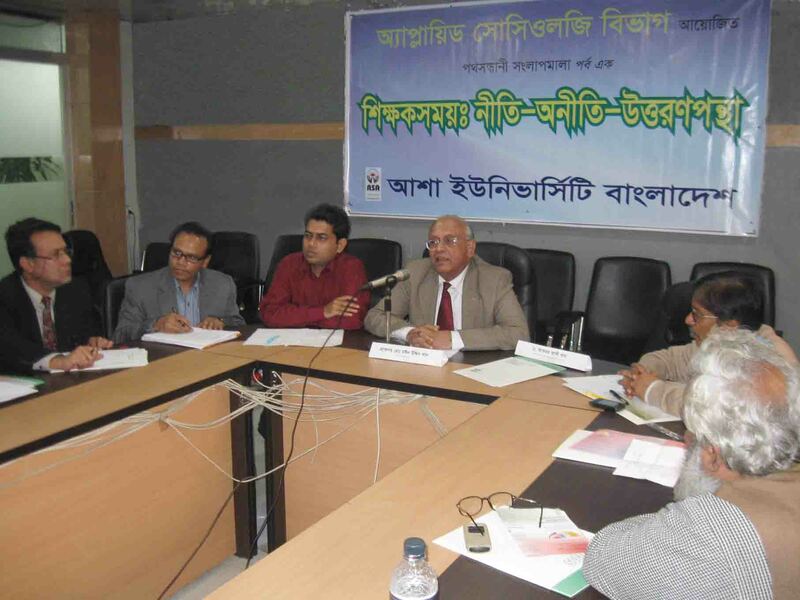 Professor Dr. Helal Mohiuddin attended an international conference on application of present day anthropology at Rajshahi University during 1-4 December. He chaired the inception session on globalization, world-scale development and anthropological wisdom. 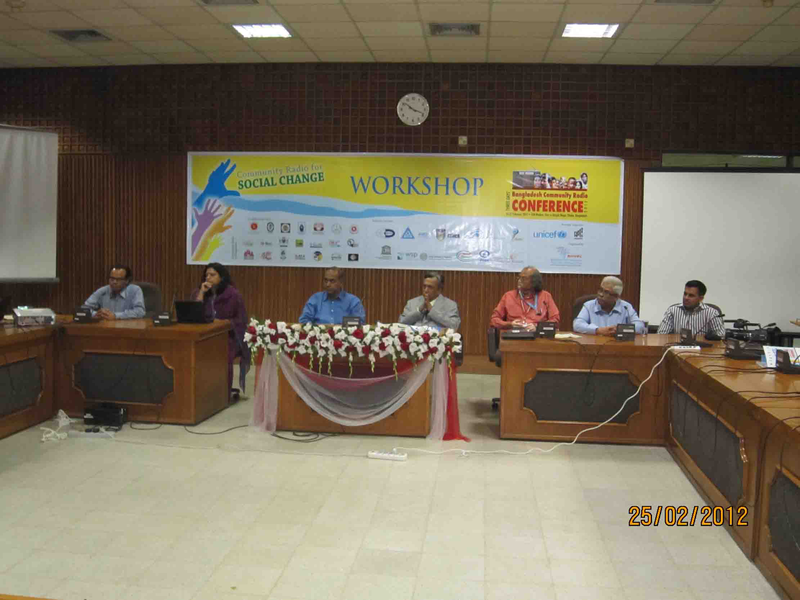 Professor Mohiuddin also contributed in the conference as a distinguished discussant of a session on agriculture, ecology and community.